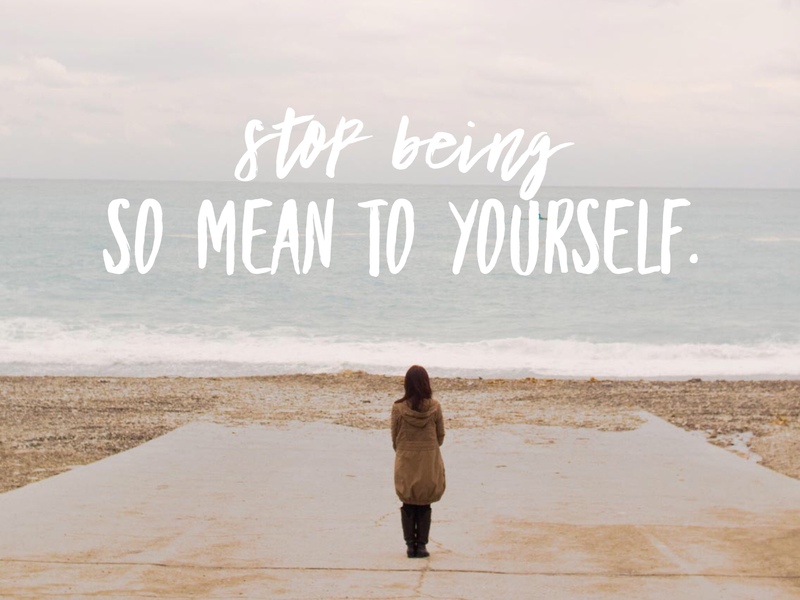 Stop being mean to yourself. Learn how to love you! 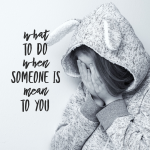 Yesterday we talked a bit about what to do when someone is MEAN to you (Read that HERE) but what if the person that is MEAN to you…IS YOU. What can you do to STOP the self loathing and make peace with yourself? I read a quote once that said, “It’s hard to feel good when someone is mean to you all the time.” It’s true. How can you reach out and love others when inside there’s a great battle going on and war is underfoot? While a single post here isn’t going to “fix” it – it CAN offer you some things to try and practice and start you on your journey to self-love and appreciation. I’m going to offer you 5 things to start doing TODAY to mend that broken relationship with yourself and start feeling better inside. First, you need to learn to personify your inner voice. That’s right, name it. Separate yourself from the voice that you hear inside. When you can do this it’s much easier and feels a little more tangible to start talking to and understanding you – to figuring out what’s really going on inside your head. Think about it, what does your voice sound like? Does your voice have a particular tone to it? Does it remind you of anyone? Can you name it? Once you name it you can also place a face to it – it helps to try and picture a face because you wouldn’t dare say or think some of the things you do to a REAL, LIVE person so doing this simple thing will help you on your path to STOP saying those harsh things to you as well. Second, know that your inner you is really there to protect you. It just wants to keep you safe. It doesn’t feel like it sometimes but it’s acting out of what it feels is the best course of action for you. It doesn’t want you to feel embarrassed so it’s going to tell you whatever it can to get you to stay where you are and not do anything that could cause embarrassment. It’s going to say things and it’s going to bring up things in the past to PROVE that you should NOT be doing anything that MIGHT cause you embarrassment. This doesn’t feel good and more often than not we just believe it and stay stuck. 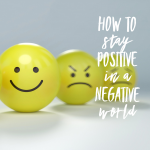 If you can get to a place where you can see why it’s saying the things it is because it’s trying to protect you – even in the most unlovable ways sometimes – then it’s going to become easier to do step three which is TALK to it. If you can’t get to encouragement YET – or anything positive YET – then you need to start slower and smaller. Talk to it and just go to a neutral instead of a positive. If you can’t look at the mirror without saying something awful to yourself then say this instead, “There I am”. That’s it. You had to say something – it’s truth – it’ll do the trick and quiet down that inner voice. Just keep repeating that over and over again until the urge to say something else subsides and little by little your MIM will learn different patterns and will STOP going to the negative. Then from neutral – little by little you can practice adding in a positive. Like I mentioned, with all of these steps they’re not quick fixes – they will take time – but you CAN do it! Step four: Start making friends with it. Some of the things you say to yourself you would NEVER EVER EVER say to a friend. If your friend comes to you and admits to eating an entire cake by themselves in one sitting while they’re “supposed” to be on a diet you would NEVER say to them, “I can’t believe you just did that! You’re terrible! You’re never going to lose weight! You’re going to stay fat forever!” – Whoa…I don’t think you’d be friends much longer after than anyway…so WHY do we say terrible things to ourselves and then get confused why we feel so bad all the time?! Look at yourself as you would a friend. If a friend came to me with this information what would I say? Would I be compassionate and kind? Would I be supportive and offer suggestions for help? Whatever you would do for a friend – do it to yourself. Give yourself words of advice. Give yourself compassion. “MIM, it’s okay. Yeah, that kinda threw us off the path we were on but it’s okay. We can get back on. It’s really not a big deal.” – Learn to talk to you MIM with kindness and as you would a friend – in fact, since your MIM is always, always, always with you your MIM should become your BEST FRIEND. Step five: Do for you what you would for others – I know this sounds backwards, right? Somewhere along the lines we missed a step in this process. The golden rule: Do for others what you would do for yourself – got skewed somehow – we go out of our way to do something for others so we don’t let them down and yet, we let ourselves down all the time! If you had an appointment at 12:00 you’re going to get there at 12:00 because you don’t want to miss it. You value their time and it’s important. But we cancel on ourselves all the time too. We tell ourselves that we’ll do something. We really do want to do this but then the time comes and we just don’t feel like it or someone else asked us to do something instead and we can’t say no because we don’t really have a “real reason”. Stop this cycle. You are important. Your time is valuable. When you make a commitment to yourself – HONOR it. Love you enough to honor the promises you make to yourself. When you start treating yourself as you would a friend you’ll start feeling better. You’ll start creating love inside instead of discord. This is a beautiful thing because when you feel better inside you’re going to show up differently on the outside too. You’ll find you have a little more tolerance and love for others. You’ll have more energy because you’re not expending it on an internal war. It’s worth the time and effort it takes. Start today! I’d love to hear what you named your MIM! Post them in the comments and tell us why you named it that.